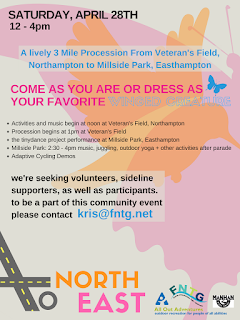 Join our procession from Veteran's Field Northampton to Millside Park, Easthampton with performances & activities at both locations. 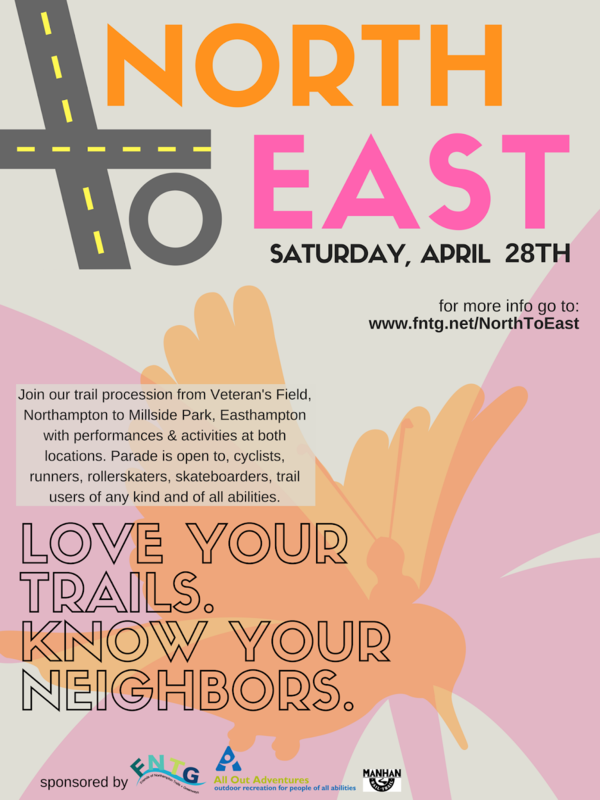 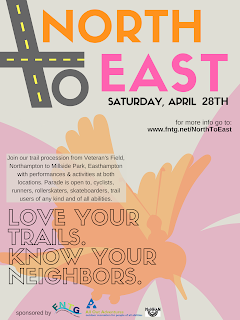 Parade is open to cyclists, runners, roller skaters, skateboarders, trail users of any kind and all abilities. 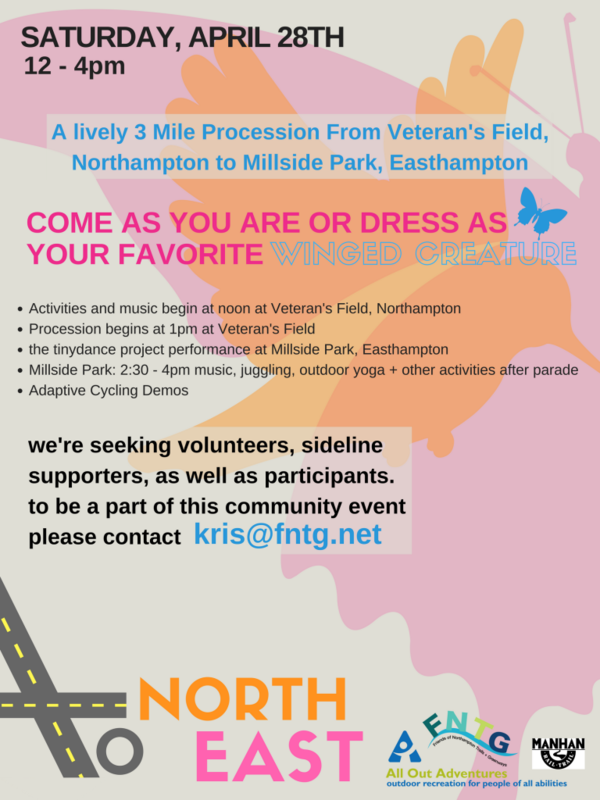 Come as you are or dress as your favorite Winged Creature!